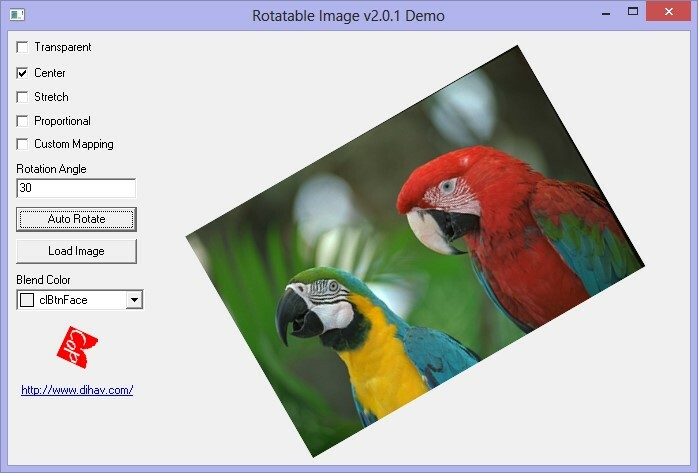 This component is an image control with rotation and custom mapping ability. This component uses antialiasing to make images smooth when stretching, rotating, or mapping them. It can also display and rotate 32bit images.